The Vial of Life Program is a way to have important lifesaving information available for Emergency Medical Responders in the event that you are injured or ill at your home. When you face a medical emergency you may be scared, anxious, in pain, confused or unable to speak for yourself. It is during those times that your VIAL OF LIFE Form will speak for you, providing first responders with the information they need to give you the most appropriate emergency care. The New Bern Woman’s Club, in partnership with Craven County Emergency Services and the New Bern Police Department, are working together to share this important life-saving program with our community and local EMS Providers. Make copies of the Vial of Life Form, fill it out and keep it updated. Put form and other pertinent information (photo, DNR, etc.) in a baggie. 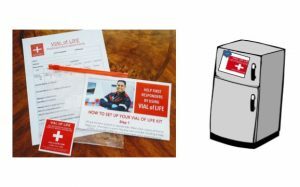 Attach the baggie with a magnet to the front of your refrigerator with a Vial of Life Decal showing. Place another Vial of Life Decal on your front door or window where it can be seen by Emergency Responders. While this program is useful for all family members, it is especially helpful for senior citizens, those living alone, or those who are chronically ill. We hope that you will help us spread the word about the Vial of Life Program and help our first responders and medical centers save more lives. 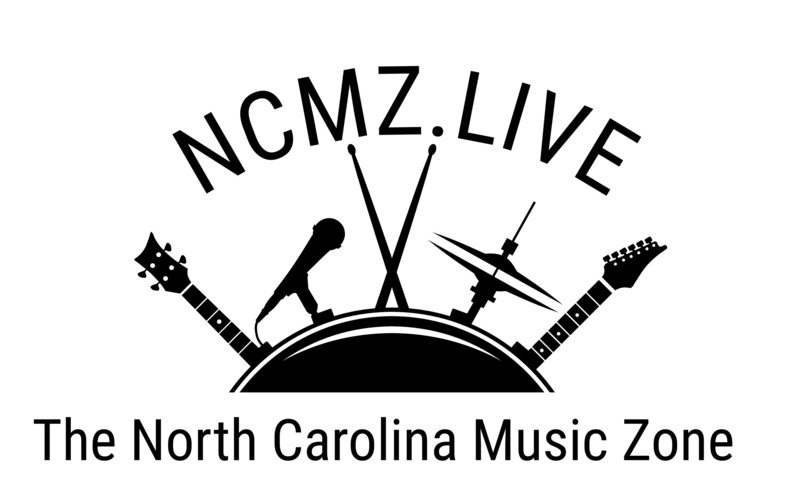 Please go to the New Bern Woman’s Club website (www.newbernwomansclub.com) where you can download the form and decal to print yourself. 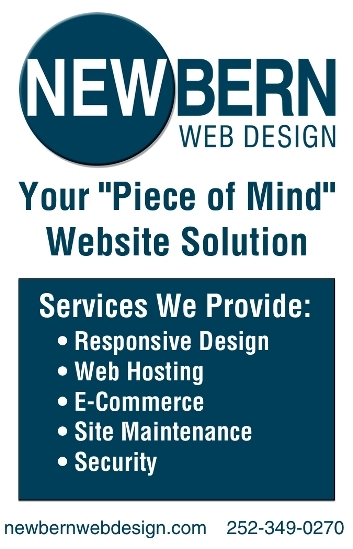 Forms and decals may be purchased in bulk for large organizations. Prices and additional information are also available on the website. Also, limited FREE supplies can be ordered on the Vial of Life website at vialoflife.com. Like someone to come speak with your civic, religious or veterans organization about this program? Please email Rita DeSanno. We’d also like to thank the following for their donations: Walgreens, Realo Drugs and Alphagraphics.